#1 Food & Drink App and featured as one of Apple's "Best New Apps"! ● Over 145 simple, tantalizing recipes, all free of gluten, soy, and refined sugar, sortable by food category, searchable by ingredients and category—the vast majority of which are approved for the Whole30® nutritional re-set program. You’ll find lots of recipes that are exclusive to this app, and not available on the Nom Nom Paleo website or cookbook. ● More recipes are being added regularly! 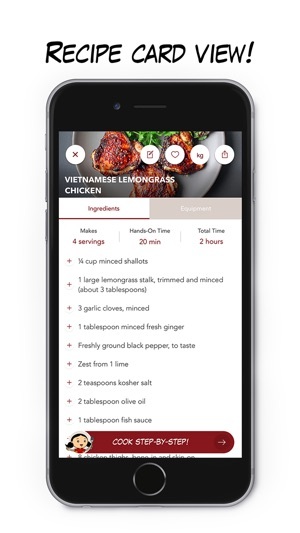 You won’t have to wait until future app updates—new recipes can now be added automatically to the app on your device! ● More than 2,000 stunning, high-resolution photos showing every step of the cooking process. ● Fun and visually-engaging new user interface and design, including a home display that allows you to quickly scroll through and visually select recipes. ● Simple-to-follow instructions, including tips, shortcuts, and information about food and techniques. ● An interactive, email-friendly grocery list that syncs across devices and makes food shopping a breeze. 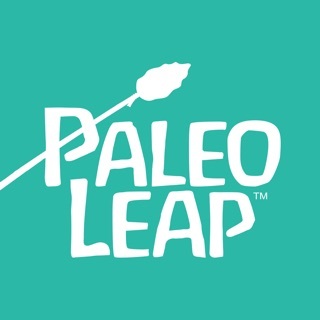 ● An extensive “Paleo 101” primer that explains the benefits of the “caveman” diet and provides resources for more information about ancestral health and nutrition. ● A Whole30-friendly 30-day sample meal plan with links to recipes. ● An in-depth shopping guide with product reviews and links to sources for cooking tools and ingredients. 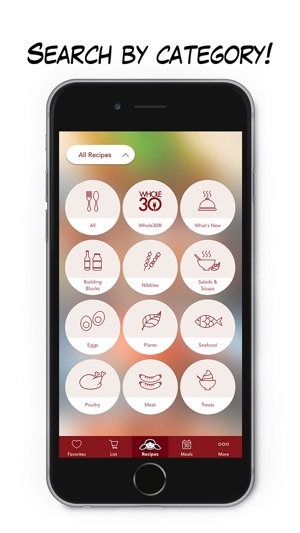 ● The ability to bookmark recipes, create a personalized category of favorite recipes, and add notes. ● A “constant-on” function to prevent the screen from dimming while you cook. ● The ability to email complete recipes and shopping lists. 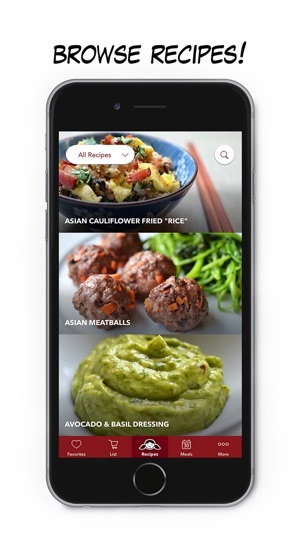 Hey, Nomsters – my updated cookbook app is here, and it’s finally available for your iPhone! This “cookbook on steroids” is a uniquely immersive culinary experience. It’s a visual feast packed with brand new recipes, as well as updated versions of classic Nom Nom Paleo dishes—all presented with my own special brand of whimsically snarky commentary. Food lovers and busy home cooks can visually follow each of my recipes from the pantry to the dining room table. But that’s not all! For those who want to learn more about the “caveman” approach to nutrition and health, I’ve included a “Paleo 101” primer that explains why we eat whole, unprocessed, real foods (like meat, seafood, vegetables, fruits, and nuts) and avoid highly-processed and pro-inflammatory foods. You’ll also find an in-depth shopping guide, a 30-day meal planner, an interactive shopping list, and much, much more. 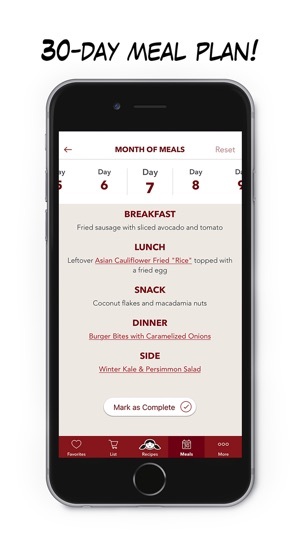 My hope is that this app will delight, engage, and inspire you to eat well and be well! 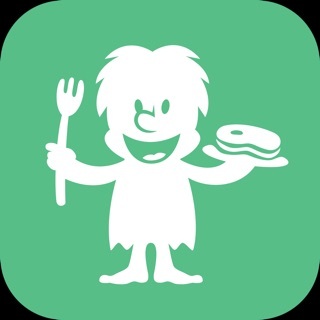 - If you have any issues with the app after updating to a new iOS version or new device, please email feedback@nomnompaleo.com so we can help you get cooking! Thank you! Extremely responsive and easy format to find just what you want to cook with recipe index and search functions. The ability to add items to an internal shopping list is fabulous as it also lists with link what each ingredient will be used for-helpful if your planning some meals to cook and freeze and can’t quite remember where you saw that need for coconut milk. As someone cooking for a five and two year old as well as a partner, these recipes have pleased all of our palates. My five year old daughter even told me that the pancakes were the best I’d ever made (personally, I was just trying to use up some squishy bananas so they didn’t go to waste!). Our family isn’t fully paleo, just dabbling into it so far, but even with that, these recipes are interesting and delicious, as well as easy to make with the authors clear step by step instructions. I haven’t made anything from nom nom paleo that we haven’t liked. To be honest, I doubt my family knows how often we’ve been eating paleo meals because all the notice is that they want to clean their plates. I’m so glad this is available as an app! Wonderful App!!!! This and an instant pot will change your life! Nom Nom Paleo and an instant pot changed my life! I did the Whole 30 diet effortlessly and changed my diet and health. Once I got a few condiments (green curry paste, fish sauce , aminos , etc) I was off and running. So much variety and so easy to adapt leftovers etc. love the Cookbook for all the info but also having the App allows me to decide what I want to make at the store. Continual new recipes and an amazing taste parade! Never bored! And when I had issues and the App crashed Michelle answers my pleas for help! She is responsive and appreciates Instagram etc posts! 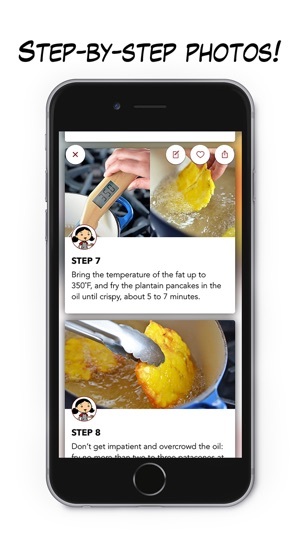 SERIOUSLY this is not just a recipe App but an invitation to new health and eating adventures! This app has been SO worth the $6. There’s so many recipes, some easy some more complicated, but you can always tell quickly by how many steps there are. Its been really helping my partner and I work through Whole30 this month. I wish there was a feature to send a recipe straight to my printer - i have to email it to get it in print format. But that’s a very minor gripe. Overall, its beautiful, easy to use, and just so many recipes. Its like buying an amazing a modern cookbook for only 6 dollars. And you can make a shopping list straight from your phone! Brilliant. Well done.